To say that Patrick Byrne is a complex corporate executive would be an understatement. On one hand, the founder, chairman and CEO of Overstock.com is a well-known vocal proponent of free markets, smaller government and school choice. But at the same time, he’s called for greater SEC oversight, has written a CEO Owner’s Guide to ensure stronger ethics in business leadership, and is adamant about a crackdown on naked short selling of stock, a stance that has provoked the wrath of Wall Street. Patrick Michael Byrne is chairman and CEO of Overstock.com, Inc., a Utah-based internet retailer that has been publicly traded since 2002. Under Patrick’s leadership the company’s annual revenue has grown from $1.8 million in 1999 to over $800 million in 2009. Patrick received a bachelor’s degree in philosophy and Asian studies from Dartmouth College, a master’s in philosophy from Cambridge University as a Marshall Scholar,and a doctorate in philosophy from Stanford University. He has taught at the university level and frequently guest-lectures on business, the Internet, leadership and ethics. 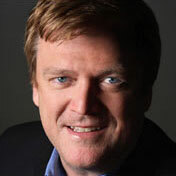 Before founding Overstock.com, Patrick served as chairman, president and CEO of Centricut, LLC, a manufacturer of industrial torch consumables, then held the same three positions at Fechheimer Brothers, Inc., a Berkshire Hathaway company that manufactures police, firefighter and military uniforms. In 2001, Patrick began Worldstock.com, Overstock.com’s socially responsible store for products handcrafted by artisans from developing nations and rural areas of the USA. To date, more than $50 million has been returned to Worldstock’s artisan suppliers. A self-described “classical liberal,” Patrick believes that our nation’s future depends primarily on a sound educational system and a healthy capital market. Towards those ends, Patrick serves as chairman of the Milton & Rose Friedman Foundation for Educational Choice, supporting legislative reform to bring educational choice to parents. Patrick has also founded 19 schools internationally that currently educate more than 6,000 combined students. Byrne says he is consistent in his thinking. He cites his belief in economic freedom, that he wants people to stop exploiting the system’s loopholes for personal gain and rallies around a common cry that education is at the root of empowering today’s employees as well as our youth. Patrick also holds many interests outside of e-commerce. He holds a black belt in tae kwon do and at one time even pursued a career in boxing. Being a cancer survivor, it was important for Patrick to prove that nothing can stand in his way. Hoping to raise awareness and funds for cancer research at the Dana Farber Cancer Institute, Patrick has cycled across the country four times. In 2000, while on his last ride, he raised record-breaking funds for the institute from across the nation. This type of outspokenness has made Byrne a polarizing figure over the past few years and has drawn quite a few critics — as well as champions. All that has done is crystallize Byrne’s resolve. It hasn’t distracted him from his passions, including his belief that fighting poverty and educating young people must be priorities. Byrne has personally founded 19 schools internationally, and in 2001, he founded Worldstock.com, an Overstock.com micro site that sells handcrafted products from artisans in developing nations and from underprivileged artisans in the United States. Overstock keeps a low profit margin on these items and ensures that the artisans receive, on average, 60 percent of the total revenue. With all of this, there’s one thing just about everybody can agree on about Byrne — he’s extremely passionate. But he has also shown a knack for growing a business that’s hard to dispute. In just over 10 years, Byrne has taken Overstock.com from a $1.8 million start-up and transformed it into a public company that generates more than $800 million in annual revenue and receives top-notch customer service rankings. Byrne has said the key to his ethical values is the “Hindu term ‘Dharma,’ that is usually translated to ‘duty,’ but it means ‘the way you’re wired.’ I don’t think of myself as some super-ethical guy; it’s just the way I’m wired. But when you see certain things that are bad, you’re supposed to stop them, and when you see some chance to do some good in the world, you do that. Byrne has been a vocal supporter of small businesses, believing that their success is directly related with the recovery of the American economy. His “Main Street Revolution Initiative” is an effort intended to increase the visibility of small, local businesses by giving them an avenue for exposure to national markets. Overstock.com is working with local chambers of commerce to find small-business owners to participate in the program. In addition to helping “homegrown” businesses reach a national audience, the program helps consumers support small businesses they otherwise might never have heard of. Overstock.com hopes the Main Street Revolution initiative will be as successful as the Worldstock program, which it launched in 2001. As of April, the Worldstock program-which gives global artisans from places like Bali, Columbia, Ghana, Nepal and Thailand the chance to sell their products on Overstock.com-had surpassed $50 million in total payments. It’s also a top tab on the Overstock.com home page. Even after all the hard-work he’s put in to building the Overstock.com, surviving testicular cancer and campaigning against harmful financial practices like naked short selling, Patrick Byrne still has to hold his own against harsh critics and lobbyists. He regularly defends his progressive views on television and online with the hopes of making a difference on millions of lives. Whether as a panelist on Fox News, or debating financial regulations on CNBC, Byrne is considered a credible source on the economy and was noted as one of the few people to have forecasted an oncoming crisis. Byrne saw fault in the global banking industries use of credit and sub-prime mortgages and warned online and on screen about the possible dangers that would eventually come to hit the worlds economy. Although, as the recovery continues and Americans try to climb their way out of debt and fiscal trouble, Byrne has yet to be given the full credit he deserves. Yet, Patrick carries on because he knows that his work and its value to the people he helps and serves is what is most important. Overstock.com continues to excel in providing excellent customer service satisfaction by offering quality goods at a low price. Byrne may never be recognized for the work he has done, but as long as he helped a struggling student or middle class families carry on one more day, then he can feel proud about his many accomplishments. That’s how he lives. That’s how I try to live.